Keynes’ first book that gained him some following in the world of economics was the ‘Indian Currency And Finance‘. This work examined in significant detail the workings of the Indian currency system. 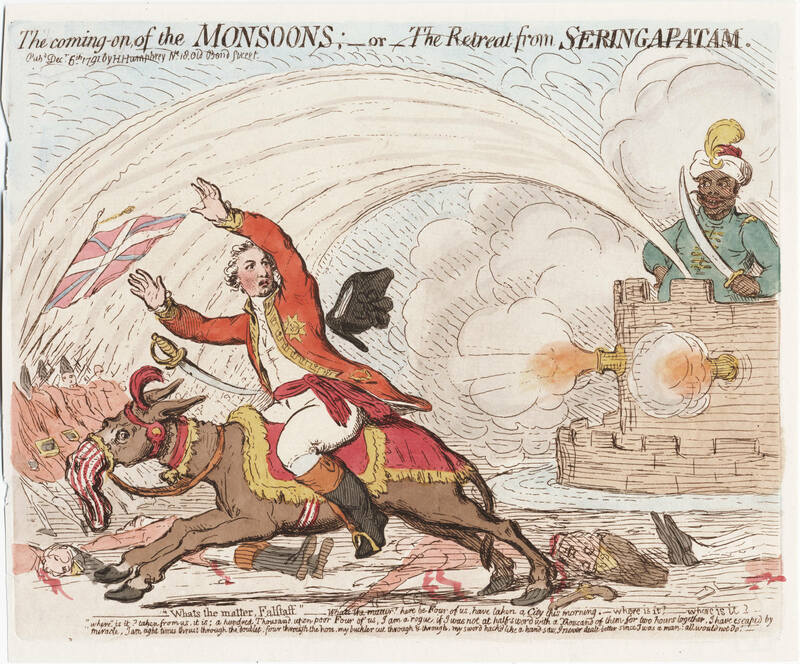 The Indian colonial currency system was anchored to the British pound – and various other local Indian currencies were in use – and even legal tender in large parts of India. Thus there was always great pressure on Britain to keep the British pound on gold standard – as there was always the option for the common citizen to use coinage from other kingdoms and princely states. In 1900, the British colonial Government tried to enforce circulation of British sovereigns in India – which failed. Of course, gold importation into India was severely restricted. The gold blockade against India was effective as the major gold production centres were under Anglo Saxon occupation (Australia, Canada, USA, South Africa, Rhodesia, Ghana, etc.). As WW2 was winding down, the Anglo Saxon Bloc went ahead and devised the Bretton Woods system. This system was a copy of the Indian currency system – where instead of the British pound, the American dollar became the Index currency. Instead of milking only India, the Anglo Saxon Bloc could now milk the whole world. Keynes noted how America when dealing ‘her dependencies, she has herself imitated almost slavishly, India.’ So, when the time came, it took very little time for the US to scale the Indian currency model on the rest of the world. The success of Bretton Woods-I depended on blockading India from buying gold – which was effectively done by Morarji Desai. (I wonder why the ungrateful Anglo Saxon Bloc has not made a statue of Morarji Desai at Mount Rushmore). He has after all been the single biggest contributor to their prosperity for the last 50 years. The world stamped their approval on Bretton Woods. As per the agreement, all countries of the world would use the dollar as the index currency – for international trade and foreign exchange reserves and for nominal exchange rate fixation. This system allowed the USA to print ‘excess’ dollars. These ‘excess’ initially in limited quantities, but soon at an accelerating pace. Today the USA has flooded the world (and the USA markets with more than US$50 trillion) of excess currency. The housing bubble, the M&A frenzy, the credit crisis are by products of this printing of dollars. With these excess dollars, the US consumers and others bought what they wanted – and US went ahead and printed some more dollars. If the Bretton Woods system was defective, unfair, weighted et al, why was it accepted? Why did the world believe that only the Anglo-Saxon Bloc could deliver. In 1944, the Anglo Saxon Bloc (countries, colonies and companies) controlled more than 90% of gold production and reserves. The largest private gold reserve in the world, India was still a British colony. Hence, it was fait accompli. For the last 150 years, the ABC countries (America, Australia, Britain, Canada) comprising the Anglo Saxon bloc (countries, colonies and companies) have controlled 90% of the world’s gold production. Till (a large part of) India was a British Colony, they also controlled more than 50% of the above-the-ground gold reserves. This gave them absolute liberty to print depreciating currency and flood the world pieces of paper(called dollars and pounds), manipulate the world financial system and keep other populations poor and backward. The promise of the Bretton Woods system was stability. USA promised the world that they will redeem the US dollar for gold – at a rate of US$35. Anyone could (except Indians and Americans) buy an ounce of gold from the USA for US$35 – managed by the the London Pool system. Within 20 years, the first promise was broken. Redemptions of dollar for gold to individuals was stopped in 1968 (March15th). The Bretton Woods system worked for 20 years because Indians were not allowed to buy gold. India’s finance minster during that crucial period, Morarji Desai, (allegedly on CIA payroll during Lyndon Johnson’s Presidency 1963-1968), presented a record 10 budgets, between February 1958, up to 1967. His break with Indira Gandhi began when the Finance portfolio was taken away from him. Morarji Desai’s ban on gold imports allowed the sham of Bretton Woods to continue for 20 years. His adamant attitude on gold cost the government popularity and electoral losses – and the Indian economy and Indians much more. Was it a co-incidence that many of the RBI functionaries later got (and even now) plum postings at LSE (IG Patel) and BN Aadarkar (IMF)? Bretton Woods also gave rise to the the Bretton Woods twins (the IMF and the World Bank) which are run and managed by the Anglo Saxon countries. The ABC countries, their client states like Japan, OECD, etc. have 65% of the voting rights. With this huge voting majority, less than 5% of the world’s population (of the ABC countries) decide how 95% of the world lives. The Bretton Woods twins (the IMF and the World Bank) been significant failures. Aid (spelt, ironically, very similarly to AIDS) projects are approved – which are tied to imports from these Anglo Saxon countries. The Bretton Woods system was technically created by more than 700 delegates from the 44 allied nations. But the match was fixed. It was designed by the Anglo-Saxon countries (America, Australia, Britain, Canada), for the benefit of the Anglo Saxon countries. Notice how much Britain resisted and finally did not join the European Currency Union. This system has swamped the world with accelerating inflow of dollars (American, Australian, Canadian) and British pounds. Producers and exporters are left with vast reserves of a depreciating currencies. From the Nixon Chop to the Bush Whack final months of Dubya’s Presidency, the Bush Family has been in the Presidency for 12 years of the 37 years. And in positions of lesser power for the entire period. George Bush Sr. was the US representative to the UN during the Nixon era – when Nixon made his infamous remarks to Kissinger about the ‘sanctimonious Indians’ who had pissed on us (the US) on the Vietnam War’. George Bush Sr. was also the US Vice President during the 8 years of Reagan Presidency. During these 37 years – between the Nixon Chop (1971) and the Bush Whack (2008), the world has changed significantly. On August 15th, 1971, President Nixon after a two day huddle with 15 advisers at Camp David, delivered the Nixon Chop to the world. The Nixon chop (my name for this event), one month after his China breakthrough, cut the convertibility peg of US$35 to gold as US gold reserves were severely depleted. The French had been regularly redeeming gold for their dollar earnings – and for this ‘perfidy’ the US had not forgiven France. This was much like the pre-WW2 French methodology of devaluation, new peg, old debt for new gold routine which got the US hackles up. Many decades have passed since these redemption by France, and the new French President, Sarkozy believes it is now possible to renew US-French relations again. On the opposite side of the world, a beleaguered Indian Prime Minister was celebrating 24 years of Independence with a “ship-to-mouth” economy, dependent on PL-480 grain. Private gold reserves in the Indian economy after nearly 25 years of post-colonial rule, were steadily rising. Over the next 10 years, the western world (and most of the rest) blamed OPEC for post-1971 inflation, gold scaled US$800 an ounce; the Hunt Brothers launched their bid to corner the silver market; stagflation made an entry and Soviet power grew. Nixon Chop , itself the result of many years of gold reserves erosion, was one in many steps that brought the US$ to its knees. Can the dollar be fixed? On August 15th, 1971, the world got the Nixon Chop – where even Governments could not redeem dollar holdings. The dollar was put on float. In little time, dollar value depreciated from US$35 per ounce of gold to US$800 in 1980. Over the next 20 years, through various clandestine methods (check out the Edmond Safra and the Yamashita stories links), gold prices were managed and brought down to US$225 per ounce – but still 80% reduction in value of dollar value. Foreign reserves of poor countries got eroded. It was a gigantic fraud on the world – especially the poor, developing countries. And the fraud continues. Every 10-25 years, the world seems to go from one financial crisis to another. Trucks full of economic analysis follow each crisis – and everyone agrees after each meltdown, that there will not be another catastrophe. What the poor (and not so poor) economists don’t see is that the Anglo Saxon bloc with 80% of the world’s gold production in a choke-hold does what it wants. On December 31st, 1974, nearly forty years after Roosevelt nationalized private American gold stocks, Americans were allowed to invest in gold again. Again Indian liberalization (1991) of gold imports happened a good 17 years after the US laws (1974) were liberalized. I wonder, how that was tied. And that is what has happened for the last 60 years. Of course, all good (for the Anglo-Saxon Bloc) things come to an end. And so has Bretton Woods – I & II. Instead of gold standard disperse gold holdings among citizens. This will dilute the ability of nations to wage war!. In the last few decades between the Nixon Chop and the Bush Whack, the Western academic world, has floated another ‘hot air’ balloon. It is the revival of the ‘pure,’ Gold Standard. The story goes that in the ‘olden’ days of 19th century, in the golden age of Western civilization, there once reigned the Gold Standard. 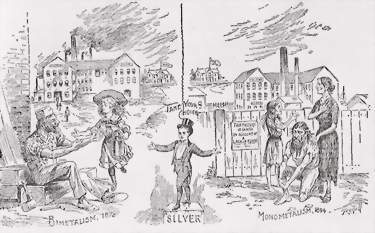 This post-Bretton Woods system was much more fragile than the system that existed between 1945 and 1971.Though the dollar/oil arrangement was helpful, it was not nearly as stable as the pseudo gold standard under Bretton Woods.It certainly was less stable than the gold standard of the late 19th century. The simplistic logic of this theory is that the world should ‘go back’ to the Gold Standard – or as some put it, improve the ‘corrupted Gold Standard’ of the 19th century, and then everything will be fine. All currencies of the World, should be indexed to Gold – and then everything should be fine. Currency can be redeemed against gold – and gold reserves equivalent to currency should be kept as reserves. This will kill inflation, stop war, make politicians honest, make tax payers honest, citizens hard-working and business efficient. In short a magic bullet. The last time, we saw this, it was called the Bretton Woods. The US and the Anglo-Saxon Bloc came together and said we will administer the new world currency system. The world agreed – once again. And we know what happened. Gold is the root of war. That is gold in the hands of kings, generals and rulers. Alexander’s campaign started with the gold reserves that his father had built from the mining operations at Mount Pangeus. The Macedonians were the first in the Hellenistic world to keep standing army – a luxury and a big expense, in Greece, at that time. (His first sexual experience was with a slave girl from these mines, Leptine from the slave camps of Mount Pangaion also written as Mount Pangaeus). In 357 BC, Alexander’s father conquered Amphipolis in Thrace, an Athenian colony – and that gave him possession of the Mount Pangaeus gold mines. Gold from theses mines financed Phillip’s wars. (356 BC – captured Potidea in Chalcidice, Pydna on the Thermaic Gulf; 355 BC Crenides, a Thracian town (later re-named Philippi). 354 BC – Methone, advanced into Thessaly. 348 BC – Completed the annexation of Chalcidice, including Olynthus). His politics and financial muscle got him (346 BC) a seat in the Delphic council, a prestigious position in Greece. Alexander set off on his campaign with this hoard of gold – and King Phillip’s standing army. The Persian conquest further added to his gold hoard. And India took away some of that loot. A bit of that gold loot was spent by a nervous Alexander for buying peace with Indian rulers at the borders of his empire. The Roman empire was similarly funded by gold mining and loot. Julius Caesar’s European conquests were funded by Gallic loot. The Punic Wars with Carthage were fought over Spanish Gold. Roman conquest and love affair with Egypt was motivated by grain and Nubian gold. One of the first actions that Romans took in Wales, Britain was to build an gold ore refining system. Gold mined in Britain went to Roman coffers. The movement towards gold standard will ensure that the US government will again become a huge gold owner – giving it enormous financial muscle. Last time, they had much muscle, we had WWII. | Cartoon by Bill Sanders. Publication date – NA. Carolus Magnus, Karel de Grote, Karl der Grosse, Carlomagno, Charles the Great – or more commonly known as Charlemagne (ruled between 768-814) waged war for 30 years, spread over more than 50 battles. Charlemagne’s conquests were funded by the Saxony mines, the Haartz mountains, etc. His victory over Avars, (modern Hungary) gave him treasures which needed 15 carts, pulled by grey steppe oxen for transport. Roosevelt gave a New Deal to the Americans. He took away all their gold. WWII followed soon thereafter. The British loot from Canada, Australia, South Africa – and India, gave the world, numerous wars and brought humanity “under the heel by means that will not bear scrutiny.” It is these very same Gold reserves which gave birth to the Bretton Woods – and we know what happened after that! Just sell it to people. From all the countries of the world. The world financial organization should limit control of global gold output by any mining organization to 10% or a single mine – which ever is lower. Gold holding should be widely dispersed, as widely as possible, amongst individuals – like the Indian gold possession model. No national government, in the new financial architecture should not be allowed to have more than 250 tons of gold – to progressively reduce to 50 tons. What this will do is disperse gold holdings among the citizens of the world – and dilute the ability of nations to wage war! National Governments (like the US), have used gold looted from their own citizens (and others) to deprive other Peoples of the world of gold – and wage war. 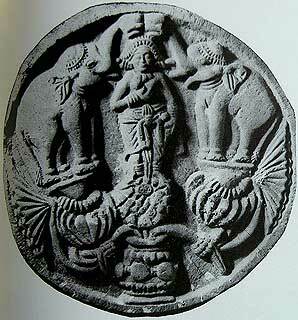 Lakshmi the Indian Goddess of wealth rides on two animals. The airawata – a white elephant, is one. She blesses the deserving, by the day, riding on the airawata. The deserving and the whole world knows that the deserving have been blessed – by Lakshmi, when she comes riding on the airawata. But the other way, in which Lakshmi dispenses her favors, is by night – when she comes flying on a owl. No one, including the recipients of her bounty, comes to know when she arrives – or more importantly, when she flies away. Spain and Britain are two excellent examples, when Lakshmi came at night and flew away. The Spaniards and the English are still wondering, what happened. The new financial blue print must ensure that Lakshmi comes riding on the airawata – and we have a sustainable currency system! What has happened as a result of unsustainable policies (simultaneous budget and current account deficits, and loose monetary and fiscal policies) in the US is that a huge liquidity bubble of $7-10 trillion has caused massive inflation in global prices for all asset classes: property, stocks, commodities, etc. – Percy S Mistry / New Delhi February 28, 2008 (bold letters mine). How many Zeros In a Trillion? I dont know. I was not prepared for this figure. It simply too huge. To put it in perspective. The whole of India, produced last year, goods and services worth US$1 trillion. Did banks lend out 7-10 trillion US$ in doubtful loans (Why didnt I get any of this?)? Who will pay the price for this? How will this get financed? Can we continue running the world financial system like this? Every 10-25 years, the world seems to go from one financial crisis to another. Asian currency crisis, US housing slump, Northern Rock, Soc Gen derivatives scam, et al. Trucks full of economic analysis follow each crisis – and everyone agrees after each meltdown, that there will not be another catastrophe. What is behind this? Who is behind this? What can we do to avoid this? What is the system behind this fraud? Why has ‘this’ system been such a failure? Simple! After WW2, the global financial system has been governed by the Bretton Woods Agreement. The Bretton Woods Agreement is a millstone around the developing world. As WW2 came to a close, British-American economists came together and devised this system. The Bretton Woods system was technically created by more than 700 delegates from the 44 allied nations. But the match was fixed. The promise of the Bretton Woods system was stability. USA promised the world that they will redeem the US dollar for gold – at a rate of US$35. This was supposed to be done out of the London Pool system. Within 20 years, the first promise was broken. Redemptions of dollar for gold to individuals was stopped in 1968 (March15th). His break with Indira Gandhi began when the Finance portfolio was taken away from him. Morarji Desai’s ban on gold imports allowed the sham of Bretton Woods to continue for 20 years. His adamant attitude on gold cost the government popularity and electoral losses – and the Indian economy and Indians much more. Was it a co-incidence that many of the RBI functionaries later got plum postings at LSE (IG Patel) and BN Aadarkar (IMF)? In the 1960s, most of the world was buying gold at an artificially low price US$35 – and the USA was bleeding gold. The French team of Charles de Gaulle and his economic advisor, Jacques Rueff did quick maths. It was clear this मेला would not last long. The USA was printing dollars and dumping it in world markets. Based on huge dollar ouflows, the French decided they will call the bluff. The French started redeeming gold for their dollar earnings – and for this ‘perfidy’ the US had not forgiven France. The French redeemed their dollar holdings (1958 onwards), sent the French navy (in 1965) to take delivery of gold from USA and bring it to Banque de France. The French raised gold reserves and dumped dollars. Banque De France finally, by 1968, increased its gold reserve to 92% (as a percentage of total foreign currency /monetary reserves). This was much like the pre-WW2 French methodology of devaluation, new peg, old debt for new gold routine which got the US hackles up. Many decades have passed since these redemptions by France, and the new French President, Sarkozy believes it is now possible to renew US-French relations again. In 1971 (August 15th), the world got the Nixon Chop – where even Governments could not redeem dollar holdings. The dollar was put on float. In little time, dollar value depreciated from US$35 per ounce of gold to US$800 in 1980. Over the next 20 years, through various clandestine methods (check out the Edmond Safra and the Yamashita stories in these links), gold prices were managed and brought down to US$225 per ounce – but still 80% reduction in value of dollar value. Foreign reserves of poor countries got eroded. It was a gigantic fraud on the world – especially the poor, developing countries. And the fraud continues. Bretton Woods also gave rise to the the Bretton Woods twins (the IMF and the World Bank) which are run and managed by the Anglo Saxon countries. The ABC countries (and their client states like Japan, etc.) have more than 67% of the voting rights. With this huge voting majority, less than 5% of the world’s population (of the ABC countries) decide how 95% of the world lives. Highly paid (mostly western) consultants are paid by aid recipients from debt funding – who recommend more debt and more imports which creates greater indebtedness and rising interest payments which need more aid for which more highly paid consultants are required. At the other end, some of this aid, finally ends up with corrupt bureaucrats and politicians – who tax the citizenry more to pay increasing debt. US Trade Balance (Image source and courtesy - nytimes.com). Asia lost last year (my estimate) more than US$300 billion dollars due to the monetary policy of the USA. Deliberate, well thought out monetary policy by the USA Government. The truth is that American lifestyle is being maintained due to Asian stupidity. The Chinese, Japanese, Indian, and other ASEAN countries have lent the USA – which is in the hock by over, US$2 trillion dollars. They will lose US$ 300 billion for the privilege of lending US$2 trillion to the USA. They designate trade in US dollars worth another few trillion dollars a year – which is zero-cost-to-US depreciating currency ‘float’ that the US benefits from. The Big Mac index (based on two simple ideas of PPP and a standard industrial product) shows the dollar is overvalued against most currencies of the world. This over-valuation range is about 53% in case of India. What that means is that the US pays India only half the amount of what it should actually pay. And India pays double for whatever it buys from the USA. No one person is – but an excellent representative is Ben Bernanke – the US Federal Reserve Chairman. In his celebrated speech, he sneeringly informed the rest of the world that the USA can start printing dollars – and helicopter drop them. If the world doesn’t take him seriously now, who can blame him. He has told the truth. The latest is economists are waiting for him to release his M3 (money circulation) figures. Of what use is that. He has already told the world that the US Mint presses are working overtime. While the West, especially the Anglo Saxon printing presses are working overtime, propagandists, (called neocons these days), blame the rest of the world for imaginary problems. One favorite whipping boy – Oil producers. One such neo-con (emphasis on con) Brendan Simms starts with his “western capitalist democracies find themselves held to ransom.” rigmarole. All that OPEC wants is a market driven price. Any problems? Why does the West not explore and drill for oil along their huge off shore areas and kill their dependence on oil. If the Oil producers are wary of the dollar price due to depreciating dollar, who can you blame. If the West wants ‘helicopter Ben’ wants to print more dollars, who will pay the price ? The rest of this gullible world? Does Simms think, that oil rich countries will ship out limited oil resources with the same speed that Bernanke prints money – or helicopter drop dollars? Is Simms getting this feeling because of the price that the Middle East is charging a full price for oil. Simms-bhai, I know the feeling, believe me! We, have been through that. It is the similar feeling that we in India, (and developing countries) used to get while negotiating for food purchases (called aid) after the Bengal Famine and while rebuilding collapsed agriculture economies in post colonial India. The world stamped their approval on Bretton Woods. Why? Why did the world believe that only the Anglo-Saxon Bloc could deliver. Why? In 1944, the Anglo Saxon Bloc (countries, colonies and companies) controlled more than 90% of gold production and reserves. The largest private gold reserve in the world, India was still a British colony. Hence, it was fait accompli. The Anglo-Saxon bloc of ABC countries is still the largest gold production bloc in the world. The Anglo-Saxon Bloc (countries, colonies and companies) still control more than 80% of world’s gold production – and significant natural resources, like oil. They administer 3 out of the 5 largest countries in the world. Hence, their currencies still have significant heft. Apart from military power. Financial manipulation comes naturally to them. The USA is trillions of dollar in debt – and Ben Bernanke, the Fed Chief says we can always print more money – or drop it from a helicopter. For instance, the above diagram shows the increase in global dollar reserves – mostly held by Asians. What happens to the Indians, Chinese, Russians – who stupidly even today believe in the American dollar? Well! Anglo Saxon law says, caveat emptor – buyer beware!! Their latest victims – good old India and China. India and China have significant dollar holdings. The value of dollar had depreciated by 75% in the last 10 years – from US$225 to US$900. India has emerged as the largest (private) reserve of gold in the world. The countries of South Africa, Ghana, Peru, Indonesia, China, Russia, Papua New Guinea account for nearly 50% of the world’s gold production – though gold operations in these countries are controlled by largely Anglo Saxon Bloc. A currency bloc, underpinned by India’s private gold reserves – and future expansion of the currency system guaranteed by 50% of the world’s gold production is a feasible start point. This will make the world more equitable and reduce financial volatility. This will also wean the world away from the savagery of the Anglo Saxon bloc countries who have been involved in every major conflict for the last 400 years. For most Western historians (and also Indians), only the Core North India, is Indian history, society and culture. This is the history which British propagated and showed India as a defeated civilisation. Invaded, pillaged and dominated. Inferior and poor. Technologically backward. This is the history that is taught in schools and exists in popular imagery. Despite its many fallacies, this view is being perpetuated by propaganda interests of the Anglo-Saxon bloc and the (various versions of) Congress party which has been the ruling party for the most of post-colonial India. The oldest Indian language, not based on Sanskrit, is Tamil. There is 3000 year old history that Tamil language has, which makes it one the oldest, living language. Related languages are in use even today in Pakistan, where the Brahui tribe speaks a related version of the Tamil language. The Brahuis have marriage preferences which are similar to South Indians (cousins preferred in marriage) – rather than North Indians. How did Tamil land up in Baluchistan? And thereby hangs a tale. The people of Elam (yes in Tamil, Eelam means homeland), were the first to civilise the Iranian Peninsula in the 2700 BC period. They were contemporaries of the Egyptians, the Mittanis and the Hittites. The Elamites were a significant people till the 800BC in Persia (modern day Iran). The Elamites concluded a major treaty with the Akkadian King King Naram-sin (Naram to Narain and Sin is the moon goddess, Chandra; possibly Narayan Chandra). Akkadian language is itself implicated in being in cahoots with Sanskrit and Indus Valley languages – and the creation ans spread of most modern languages except Sino languages. The Elamites, Mittanis and Hittites ruled an area stretching from Iran to Iraq up to modern Turkey. Numerous kings have Indian names – like Shutruk (Shatrughna), Shushinak (Sheshnag – the eternal serpent on whom Vishnu rests) Siwe /Sive (Shiva-pal seems to be his name – Dravidians have a significant Shaivite following even today). One of the most prominent rulers of Babylon was Nebuchadnezzar (as spelt in English). Replace ‘b’ with ‘d’ and you are very close the Tamil name of Neduncheziyan (Nedunchedianuru) – a current and modern Tamil name. Interestingly, Neduncheziyan is more famous as the fabled erring Pandyan King in the Tamil classic – Silappadhikaaram. Neduncheziyan mistaken justice, brings him grief and finally death. Neduncheziyan is overshadowed by the other King, Cheran Senguttuvan’s fame in the Tamil classic, written by Jain Saint, Elangovadigal. The goddess figurine seems to show parallel preferences between Elamite concept of female beauty and today’s Kodambakkam. 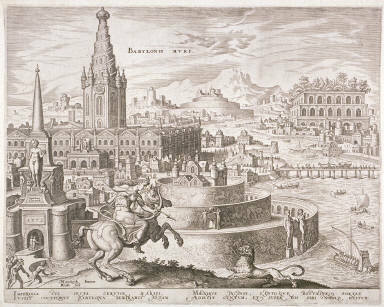 This was a famous city from which ancient Egypt, Babylon, Sumeria and other Middle East countries imported gold, sandalwood, ivory, gems, (wild animals and birds(peacocks, monkeys). This now seems to be a corruption of the Tamil kingdom of Oviyar. Oviyar were one of the ruling tribes of South India and Sri Lanka. Ophir (as the Greeks called it and the West knows it) was a kingdom in South India and Lanka – a legend in its own time. Ships sailed from Sopara (modern Nallasoppara) and Lothal. Immediately after the decline of Mauryan power in the Deccan, rose the Satavahanas. Based in the Godavari and Krishna river region, their origin is is disputed between being Andhras or Marathas. Many of Sakas and Yavanas were taken onto Satavahana administration. Indianised Sakas and Yavanas, (Dharmadeva, Agnivarma or Rishabhadatta) from the Central Asia-Iran-Afghan region, were tribes and peoples conquered by Alexander and subsequently available as mercenaries. The spread of Buddhism gained strength during this reign – which we will see became a significant feature of Dravidian spread. 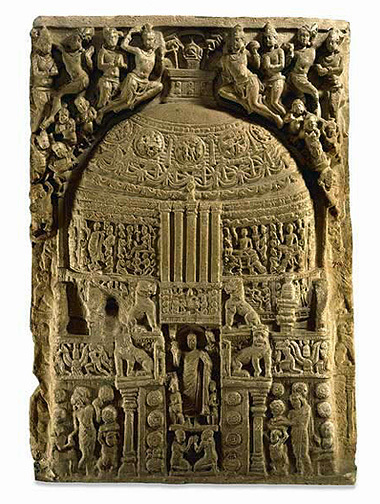 The Amravati stupa, was built during this period. Satakarni I (C. 180-170 B.C) was one of the early Satavahana rulers. He expanded to western Malwa (a Sungas territory) and clashed with the powerful Kalinga ruler Kharavela. He performed performing Aswamedhas thus announcing his suzerainty – desides celebrating a Rajasuya. His queen was a Marathi princess Naganika and a Naneghat inscription describes him as ” Lord of Dakshinapatha, wielder of the unchecked wheel of Sovereignty”. Hala (C. 19-24 A.D) the seventeenth Satavahana ruler compiled Saptasati in Prakrit, married a Sri Lankan princess, (described in Prakrit work) Lilavati. 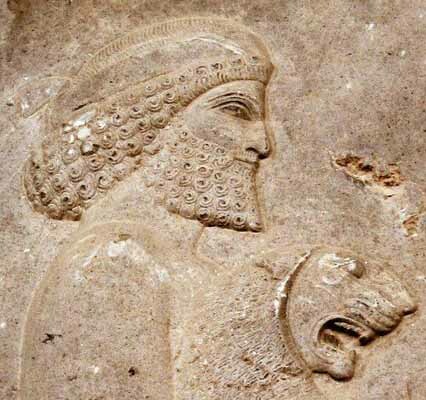 Gautamiputra Shri Yagna Satakarni (C. 78-102 A.D.), in an inscription at Nasik, took pride in calling himself `Destroyer of Shaka(Scythians), Yavana (Greeks) and Pahalava’ – Pahalava referring to the Pahlavi dynasty of Parthian area of Iran. More than 13000 coins were found from his reign – now famous as the Jogalthembi hoard. Vijnaneshwara who accomplished renown by inscribing Mitakshara- a book on Hindu law in the court of Chalukya Vikramaditya VI. Somesvara III was a magnificent intellectual and king who amassed an encyclopedia of all arts and sciences called Manasollasa. So, these Indians from South were involved in Middle East administration and were a major maritime power till the 17th century. Indonesia, Philipines, Malaysia, Thailand, Cambodia were at various times ruled by these Dravidian rulers. The world’s largest religious complex is the Hindu temple of Angkor Vat – in Cambodia. Simultaneously, trade introduced Islam and Christianity into India in Kerala, Bengal and Kashmir – before any invasions. The demographic change in Indian religious due to invasions was magnified by colonial historians to create animosity. More coming up in the next 1 week. As can be seen, North and South Indians were different language and practices but saw themselves as apart of Bharatvarsha – i.e India. Unlike what European historians would like us to believe. Lot of the material is available as links in this post also.